Banstead-based maritime care charity the Royal Alfred Seafarers’ Society is celebrating being shortlisted for six care awards in just one week. 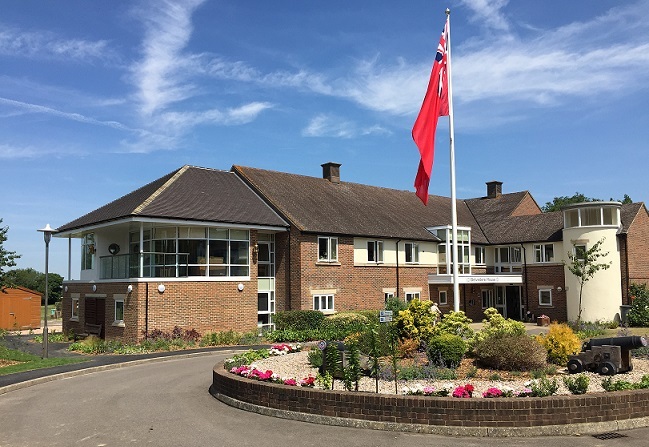 The care home and charity, which caters for retired seafarers, their families and dependents, as well as residents living with dementia, has been nominated in a range of categories at the Surrey Care Awards and the 3rd Sector Care Awards. These include personal recognition for the Royal Alfred Seafarers’ Society’s Chairman, Captain Duncan Glass, who has been with the charity since 2009, and Housekeeping Manager, Shirley Campbell, who has been instrumental in the smooth-running of the home for more than ten years. The Surrey Care Awards are organised by the Surrey Social Care Association and recognise the exceptional contributions made by individuals and teams within the county’s Care Workforce. Last year, Home Manager Anne Kasey won the award for Outstanding Contribution to Social Care following 30 years of dedicated service at the home. The Markel 3rd Sector Care Awards celebrate the unsung heroes that have a huge impact in the care sector as well as recognising the achievements made by registered providers and community groups. Royal Alfred prides itself on providing an outstanding level of care for ex-seafarers and their dependents, which is reflected in 98% of residents rating the standard of facilities and services and quality of care as ‘good’ or ‘very good.’ The home was commended by the awards judges for its industry-leading levels of staff training that reached an all-time high in 2018 at 100%. This means the care team are all highly skilled and can meet the individual needs of all residents. Brian Boxall-Hunt, CEO at the Royal Alfred Seafarers’ Society, said: “It’s a tremendous achievement to make the shortlist of any awards programme but to be recognised in six very different and competitive categories across two of the most prestigious awards in our industry is phenomenal. “I would like to pay tribute to the dedicated staff at the Royal Alfred Seafarers’ Society who all give so much to making our home in Banstead a comfortable and supportive place for our residents to enjoy life. The winners of the Surrey Care Awards will be announced at a ceremony at Epsom Downs Race Course on Friday 9 November while the 3rd Sector Care Awards ceremony is on Friday 7 December.